​​Tottenham, ​Atletico Madrid and ​Bayern Munich are all reportedly interested in signing Marseille wide man Florian Thauvin - despite the Frenchman's ongoing contract talks with his current club. ​Tottenham's hunt for a winger continues this summer as they look to strengthen their wide ares. Already linked with the likes of Anthony Martial and Wilfried Zaha, Thauvin becomes the next in line to be reported as a Spurs target. 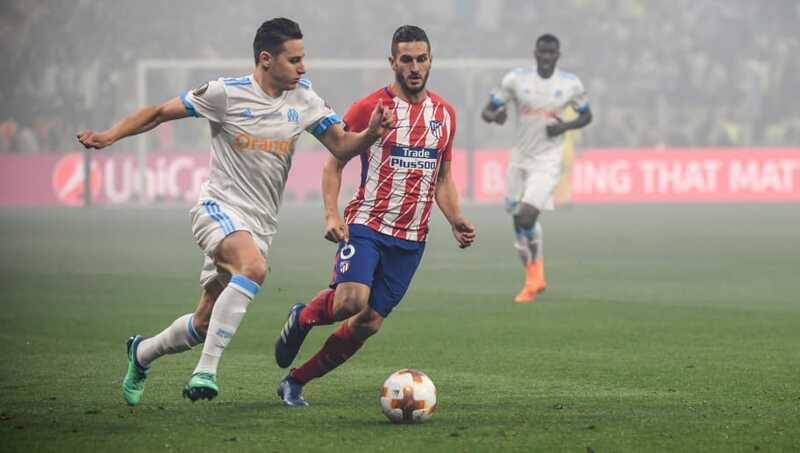 According to RMC (via GFFN), Marseille will have to put up a fight to keep hold of one of their key playesrs during this closed season, with Spanish giants Atletico and German champions Bayern also keen on the winger. However, Marseille will hold a little hope in that they are currently in contract talks with the 25-year-old, and Thauvin is expected to extend his current deal by one year - earning a big pay rise in doing so. But this won't put off the interested parties. Contracts mean little nowadays in football, and player power is at the point where if someone wants to leave, they can usually force through a move. The new deal will benefit Marseille in some way, though - even if he still leaves this summer. In putting pen to paper on a new contract, his current club can hike up the price of any proposed transfer fee, and considering three financially powerful big hitters are interested in Thauvin, there's every chance that the French side could persuade a team to overpay for their target. While the player's club future is no doubt exciting at the moment, he'll be very much focused on the World Cup - having been called up to the France squad ahead of the likes of Kingsley Coman and Anthony Martial.